I posted recently about the ‘big curriculum switch’ we made recently in our homeschool. As I mentioned in that post, it was not an easy decision to make but we made it. While I may have struggled with the decision to switch curriculum, let’s be real – getting to shop for new curriculum and resources is ALWAYS fun for a homeschool parent! I’ve been getting a lot of questions about what specifically my kids will be using now, so without further ado – here are my new and improved curriculum choices for our 2018-2019 school year. I’d like to make note of a couple of things here. First, while my posts may have the occasional affiliate link here and there, all the products I’ve moved my kids into so far have been purchased by me. Second, while I do my utmost to bring you only secular materials and resources, in my homeschool we are quite eclectic and I use what works for us. If a product I mention is created by a faith-based company I’ll make note of that. My middle schooler has always been, from his very first colicky days on this earth, my most challenging child. He’s the coolest, funniest, and most awesome boy I know but he makes things….tricky. It’s a constant struggle and effort to balance his needs, my goals, and find curriculum and resources that work for him. What worked last year, could be a miserable failure this year. Likewise, what failed horribly before -might be just the ticket this year. * Memoria Press is primarily a Christian Classical Education company, however they are in the process of creating materials that are suitable for charter and public schools. Singapore Math Practice books 3A and 3B to reinforce what she’s already learned and get some practice, then will move into Singapore Math 4. 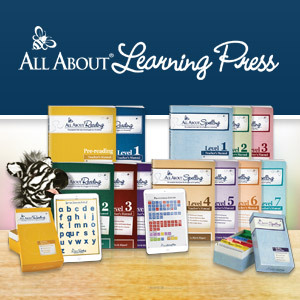 ** Classical Academic Press is, also, primarily a Christian Classical Education company, however we find their products to be very effective in our homeschool. These curriculum changes are not set in stone. I do plan to work in a few other things along the way, but with the holiday season fast approaching – many of those new changes will wait til into the New Year. We’ve been following this new plan now for a couple of weeks, and I’m feeling so much better about the direction we’re headed. I feel a calmness now, and an undeniable sense of continuity in what each of my children are studying and working on. I love that we can deepen our studies and introduce some new resources and subjects. It has helped our homeschool days feel more relaxed, and more engaged. The flow of our days has already changed for the better. We aren’t rushing through an impossible list of subjects and lessons every day. We focus on three core subjects daily: math, composition, and Latin. Then, depending on the day we get to one or two other subjects on the list. We try to end the day with something we work on together. Currently, that means either the Poetry For The Grammar Stage or Annotating Literary Elements. Our days feel like they’re moving more fluidly, with less friction. We’re working out some kinks in the scheduling of our day. We also are still feeling out how to connect all of these new resources. I feel deeply and confidently that we’re on the right path. That we all have our feet pointing in the same direction and can move forward together. I can’t wait to see where this new part of our journey takes us.